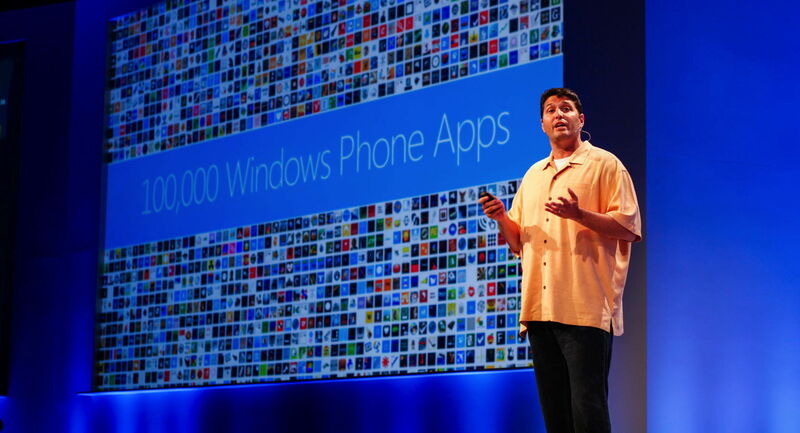 Terry Myerson, Microsoft’s executive vice president of operating systems, has a lot on his plate. Appointed to head Microsoft’s unified operating system group (OSG) last July, Myerson recently got even more power, now heading up everything in Xbox but the console hardware, along with the Windows client and Windows Phone operating systems. Before becoming OSG chief — and being considered for the CEO job at Microsoft — Myerson was head of engineering for Windows Phone and ran the Exchange business for the company. He joined Microsoft in 1997 when Redmond bought his Web-software startup, Interse. I had a chance to sit down with Myerson earlier this week, a few days after Microsoft’s Build 2014 conference, to get clarification on his plans, products and strategies for operating systems at the company. In the Q&A with him, we went into depth about his “One Windows” strategy and vision. Myerson made it clear that while supporting legacy apps on the desktop is part of Windows in the future, it isn’t going to be part of every Windows variant going forward. He also gave me reason to believe the rumors that a new Windows on ARM variant that will work on both phones and tablets is, indeed, in the pipeline, as tipsters have indicated. Q: It’s clear that Metro/Windows Store is the heart of Microsoft’s Windows vision going forward. But how should we be thinking about the role of the desktop? Many believe the desktop is going to be going away, but others think it can’t and won’t. What’s the reality? Myerson: We actually value using the desktop. I feel highly productive using it. It’s very familiar to me. We plan — [as] we talked about at the Build conference — to bring modern apps to the desktop. We are going to have machines that have a great desktop experience. It [the desktop] is also not the right experience for a phone or a tablet. And so how the Windows experience spans these form factors and is familiar across them — that’s what we need to deliver if we’re going to delight people in the whole ecosystem. The desktop is part of our future. It’s absolutely core to Windows. What about Windows RT — not WinRT, the API (application programming interface) — but Windows RT, the Windows flavor on ARM? Does that have a future? Myerson: Windows ARM processors have a future, and there’s tremendous innovation in the ARM ecosystem. I think Intel has a fabulous future. There’s tremendous innovation going on with Intel. We want to take advantage of the innovations in ARM. I think ARM chipsets have a bright, vibrant future, and Windows will run on those chipsets. We’ve been hearing rumors about the Windows Phone OS and Windows RT somehow becoming a new OS that’s different from Windows RT as it exists today. Is that the right way to think about it? Myerson: We will have great version of Windows on ARM. One thing we’re working through is how do we really delight customers in all the form factors that will have ARM chips. What does “One Windows” really mean? There can never be a single version of Windows that runs on every platform because of the difference in form factors. But how should we think about how you get as close to “One Windows” as you can? Myerson: I think the most important thing is the one developer platform across the Internet of things, phone, tablet, PC, Xbox, PPI (Perceptive Pixel touch displays), the cloud. One coherent, consistent excellent place, one way for developers to target the Windows ecosystem and delight our customers. I’m interested in hearing more about what you mean when you say “Internet of things” from the Windows perspective. Is this just the new name for Windows Embedded? Or is it more than that? Myerson: We have a Windows Embedded product today that is a catchphrase for several different things. We have versions of full Windows, versions of Windows Phone, we have Win CE, we have .Net, versions of .Net. They’re all caught under this catchphrase, Windows Embedded. We need to clarify this in the coming months for our customers. The classic Windows Embedded customer isn’t building a piano right now. What we’re talking about is an evolution of our Windows Embedded business, as well as our Windows Embedded offerings. It’s quite exciting actually because these are our enterprise customers. Instead of like talking to them about their productivity desktops, [we are talking about] their products themselves. So it’s just exciting. We will see where it goes, but we [think we can] help out our customers here with doing some really cool stuff. When you announced at Build that you’d be making certain versions of Windows, Windows Phone and Windows for Internet of Things OSes all available for free, why did you draw the line at nine-inch screens? Is the thinking that the versions of Windows that will be free will be a single SKU around the time of Windows 9? Myerson: Obviously we’ll have SKUs for things that are free and SKUs for things that are not free. So that is I’d say an accounting statement. That’s an accounting more than a strategy statement. We have these great OEM partners and we really want to encourage designs with those [under 9-inch] screen sizes, and that was a place where strategically we felt we needed to invest. On the upper end of the spectrum, we know Xbox One OS is built on Windows 8 at its core. At Build, you indicated that at some point you’re going to be able to run universal apps on the Xbox, too. Does this mean you could technically run a CRM app on an Xbox? Myerson: I don’t know that I would. But you could. Xbox is an experience that’s really designed for a large screen, large shared screens in the living room. We also have this product — it’s still called Perceptive Pixel — which is just a magical experience in conference rooms that’s a large shared screen. On these large shared screens, is CRM appropriate? Is Halo appropriate? We want to enable the creativity of the ISV to put what they want to put there. In my office I expect to play Halo on the PPI by Microsoft. In my home I don’t expect my kids to play CRM. Myerson: We’re a platform for our partners’ creativity. I don’t want to judge what they’ve put on that screen. CRM on the Xbox, I don’t know. A weather app on the Xbox, hey, maybe. A sports app on the Xbox, yeah, I think so. A CRM app for the PPI board, you know, maybe. The Internet of Things is a headless or small screen device. With Xbox and PPI we’re talking about large screen devices. It really comes back to enabling the creativity of our developers to get out to these various places as efficiently as possible. Can you give us any more clarity on timing? At Build you showed a mockup of a Start Menu. You confirmed the Start Menu and windowed Metro-Style apps are coming some time after Windows 8.1 Update. Will these be available this year? Not until Threshold/Windows 9 next year? Myerson: The reason we (showed) that work is we thought it was important to share with developers. When do we deliver it? I really don’t have anything to share there. We’re just not ready yet. What about wearables? We’ve heard Alex Kipman of Kinect fame is working for you on some kind of wearable device software. My sources have said that. You know those sources. Could you give us general guidance on where you’re going with wearables? Myerson: Not really. With our Internet of Things work, we are enabling our customers to build great stuff.